Mouse anti Human MCP-1 antibody, clone 2.2-4A4-1A11 recognizes human C-C motif chemokine 2, also known as Monocyte chemoattractant protein 1 (MCP-1), Monocyte chemotactic and activating factor, Monocyte secretory protein JE, Small-inducible cytokine A2 or CCL2, and does not cross react with MCP-2, MCP-3 or other structurally related chemokines. MCP-1 is a 99 amino acid, including a 23 aa signal peptide ~13 kDa chemotactic protein, a chemoattractant for monocytes and basophils but not neutrophils or eosinophils (Weber et al.1996). MCP-1 is produced by a number of cell types, including monocytes, macrophages, microglia, fibroblasts and epithelial cells (Cushing et al. 1990). MCP-1 influences T-cell immunity polarizing responses towards the Th2 phenotype (Karpus and Kennedy 1997). Variations in the CCL2 gene affects susceptibility to Mycobacteriun tuberculosis infection (Flores-Villanueva et al. 2005). 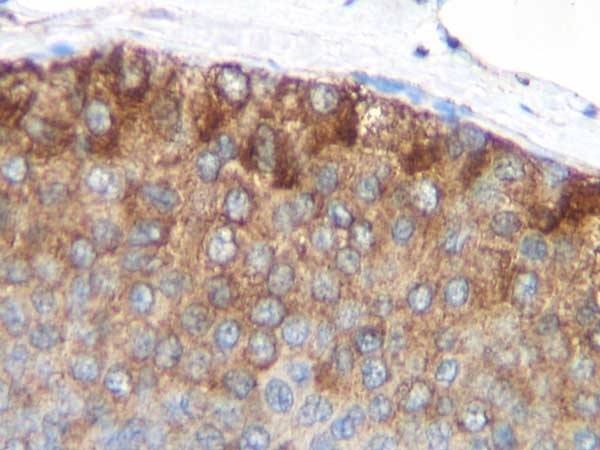 Mouse anti Human MCP-1 antibody, clone 2.2-4A4-1A11 recognizes both native and recombinant MCP-1 in conjunction with Rabbit anti Human MCP-1 polyclonal antibody in a sensitive sandwich ELISA assay. 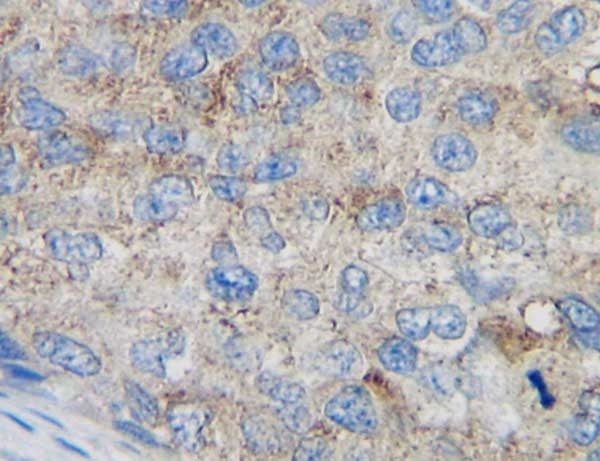 Spleen cells from immunized BALB/c X ICR F1 mice were fused with cells of a mouse myeloma cell line. This product may be used under either reducing or non-reducing conditions together with PHP061 as the positive control. Johansson, U. et al. (2008) Formation of composite endothelial cell-mesenchymal stem cell islets: a novel approach to promote islet revascularization. Nio-Kobayashi J et al. (2015) Regulated C-C motif ligand 2 (CCL2) in luteal cells contributes to macrophage infiltration into the human corpus luteum during luteolysis. Mol Hum Reprod. pii: gav028. Chuang, L.P. et al. (2016) Increased MCP-1 gene expression in monocytes of severe OSA patients and under intermittent hypoxia. Sleep Breath. 20 (1): 425-33.